My mother passed a couple of years ago. And suddenly there was a little bit of money in an account for me. And I set upon figuring out how best to invest it. A couple of months ago I received a blog (click here) from Ken Davenport outlining the 10 reasons he’d decided to invest in Terrence McNally’s newest play, MOTHERS AND SONS. They were ten great reasons and I was sold. I wrote to him to find out if it was too late to get in. Why in the world, when looking for an investment, would I not choose to give back to the profession I love, and to which I’ve given my life, and with such a great play as well?? The play had already been mentioned to me by others who invest in Broadway shows, and that, plus the fact that it would star the inimitable Tyne Daly, was enough for me. And “in” I got. Last night, on my one day off from the ALL MY SONS tech process, I flew to New York City for less than 24 hours. 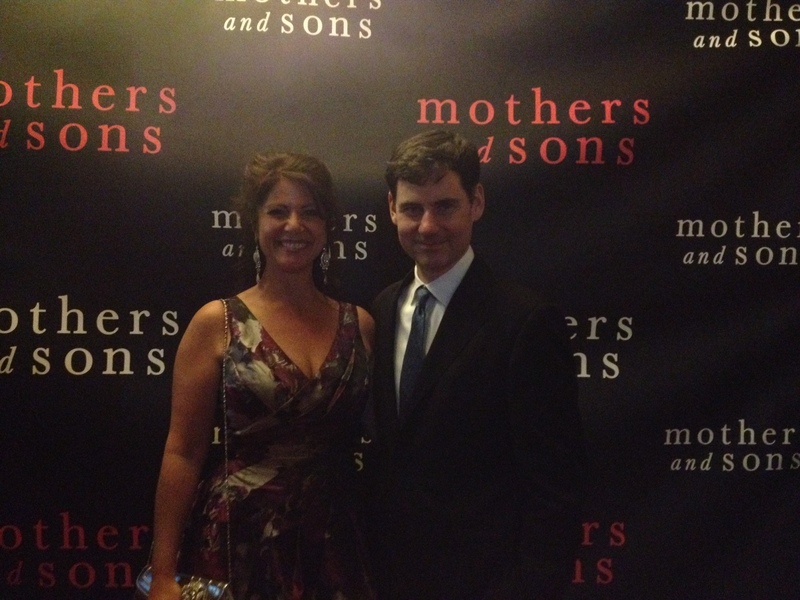 I had the pleasure of attending the Opening Night of MOTHERS AND SONS on Broadway. What a momentous occasion. Not only was the play wonderful, but it was historic in the sense that it is the first play on Broadway to represent a legally married gay couple. Mr. McNally came out to speak at the end of the play and thanked Zoe Caldwell for making him want to be a playwright, and Elaine May for making him a good one. But really, how cool is that? The total theatre nerd that I am loved every minute of it. All followed by a party at Sardi’s. Even better news? The reviews are good, so my hope is this beautiful piece of theatre which challenges us to think, feel and once again, grow past our prejudices and pre-conceived judgments. The total theatre experience, thanks to Ken Davenport. And my mom. Dear Kristen…….You looked beautiful opening night…..and what a tribute to your mother to muster the courage to invest in a Broadway play! If I don’t get to NYC soon, perhaps I can plan to see it at Gulfshore Playhouse! BRAVA!